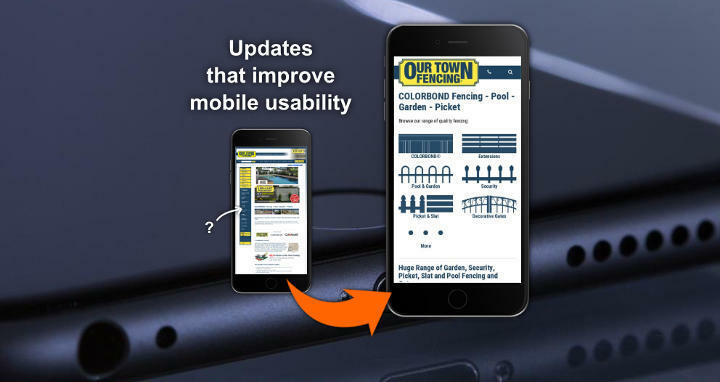 Your website should be mobile friendly. If it isn't you risk losing customers who use their mobile phone to look at your website. You risk losing them because it is hard for them to read and navigate around, and the frustration leads them to leave. It is also important to have a mobile friendly website due to some recent changes to Google's ranking algorithm. You will rank lower on mobile devices without a mobile friendly website. So it's certainly time to upgrade your website to be mobile phone friendly. There is no need for a whole new website. We only go down this road if you feel your whole website needs an updated look. It is possible to just perform a mobile friendly update or upgrade to an existing web design.